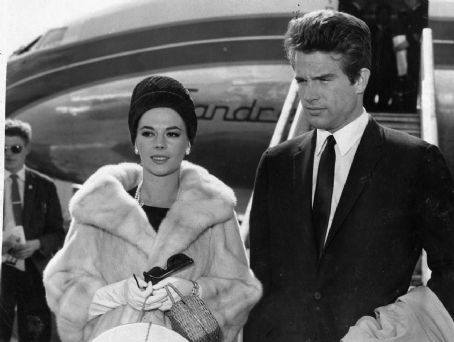 Natalie and Warren. . Wallpaper and background images in the 나탈리 우드 club tagged: natalie wood actress photos black and white couple warren beatty actor. This 나탈리 우드 photo might contain 모피 코트, 모피 칼라, 모피 악센트, 모피 액센트, 신사복, 비즈니스 정장, 거리, 도시 현장, 도시의 설정, 도시 장면, 도시 설정, 도시 거리, and 도시 장면 설정.